Who'd have ever guessed that Cannibal Corpse would go “Big Willie Style“? 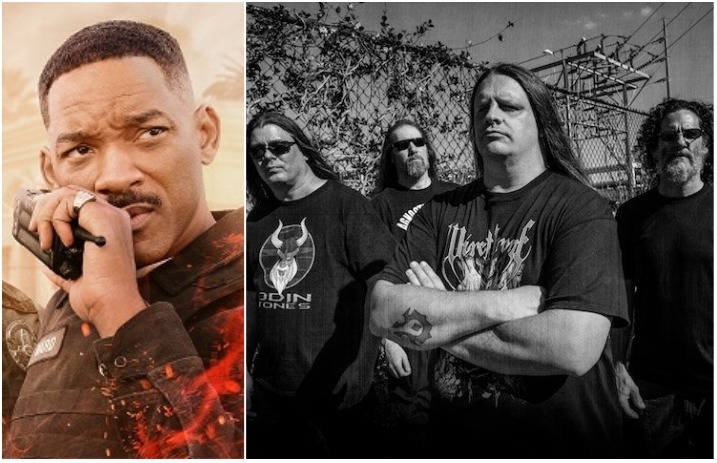 One of the veteran death metal band's signature tunes has ended up in Will Smith's new Netflix movie, Bright. Check out the video below. Bright, which just premiered on Netflix Dec. 22, stars Smith as a policeman teamed up with the world's first Orc officer—an Orc, as in a mythical creature stemming from J.R.R. Tolkien's fantasy writings like The Lord Of The Rings. As astute viewers have noticed, one early scene features the Orc throwing on some early Cannibal Corpse tuneage. “We will not be listening to no Orkish music,” Smith says in the clip, in character as Los Angeles Police Department officer Daryl Ward, as pointed out by Theprp.com. “That is one of the greatest love songs ever written,” replies his Orc cop partner, Nick Jakoby, portrayed by Black Mass actor Joel Edgerton. “That's a love song… in prison,” Ward fires back. Greatest love song ever written, eh? Well, we don't know about that, but the featured tune—Cannibal Corpse's 1993 single “Hammer Smashed Face“—sure does seem to land some high-profile film placements. Movie buffs may recall the song's vignette (as well as the band's cameo appearance) in Jim Carrey's 1994 side-splitter Ace Ventura: Pet Detective. In fact, Carrey requested the band (and the tune) for the film.